Halloween is almost upon us, and it comes with all the costumes, sweeties and pumpkin carvings you can handle. 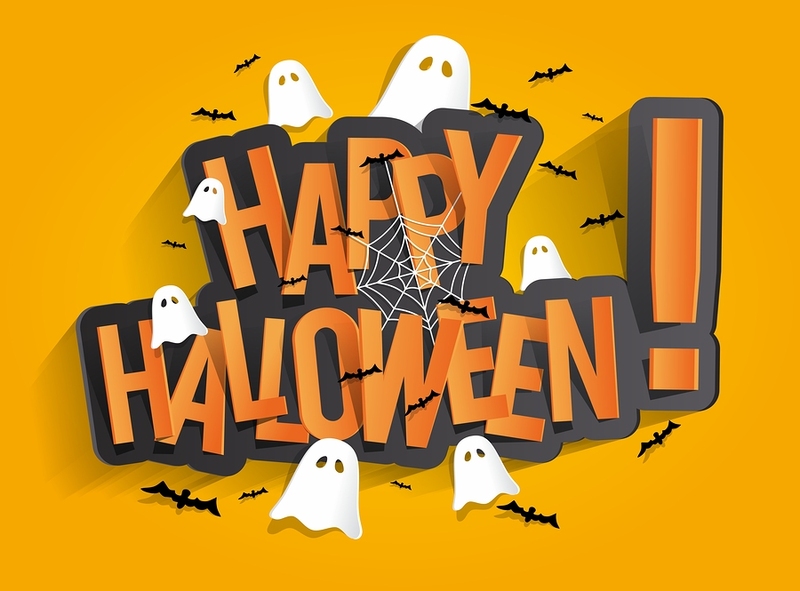 However, if you’ve got young children (or don’t want to add to the ghoulish theme by losing any fingers!) 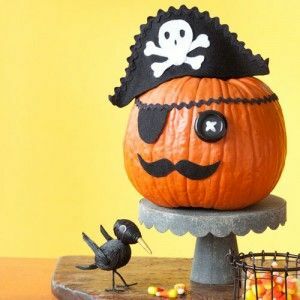 you might want to consider some of these fabulous pumpkin designs – all created without a carving knife in sight! 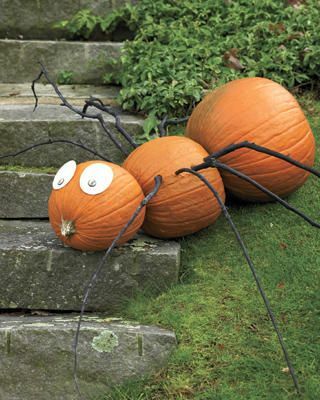 This cute little bug just needs 3 different sized pumpkins, some boggle eyes and spindly sticks for legs. Strategically balance to look like he’s on the move, then sit back and enjoy the compliments! 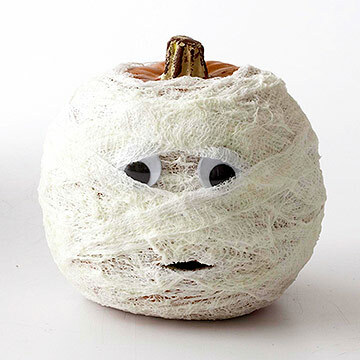 This cheeky little fella is made from a mini pumpkin with pipe cleaners for legs, and you can simply draw on his face with a marker pen (or stick on some black felt). Great idea for kids – each guest could create their own little spider pal with a prize for the best one. What could be simpler than a bandage and a couple of beady eyes? 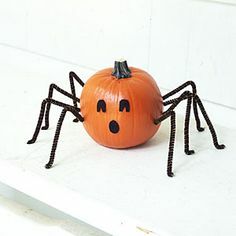 Would work on any size pumpkin for a fabby ghostly theme. 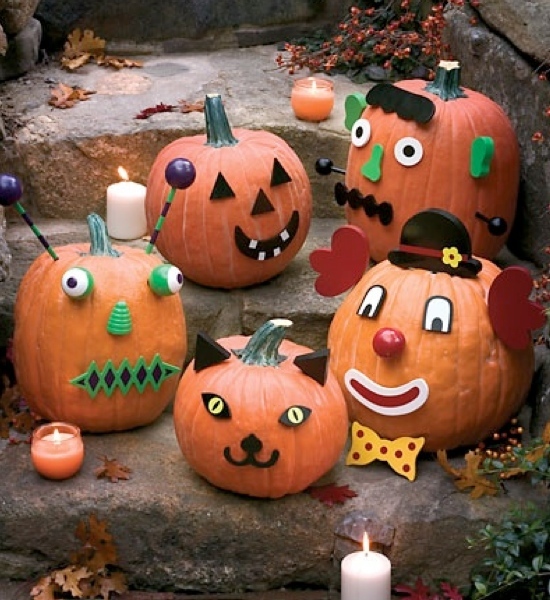 Let the kids raid their fancy dress box, add some fuzzy felt, marker pens and pipe cleaners and you’ve got yourself your very own Pumpkin family! We hope you’ve been inspired by some of these ideas.We’d love you to share your own ghostly creations with us. Enjoy!